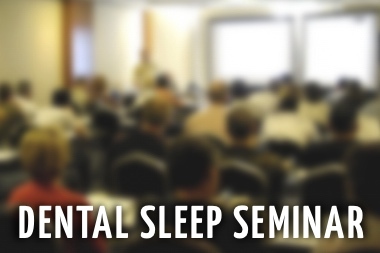 One of my favorite things about teaching our dental sleep medicine seminars over the years has been hearing all the personal stories from our seminar attendees and clients. 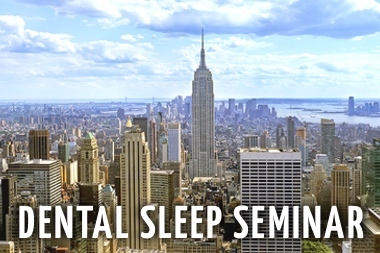 It’s amazing to me that when you put 30 people in a room and really get them excited and educated about all the aspects of sleep medicine how many of them have a personal connection to sleep apnea. Every single person has a story, every single person has a real world experience with sleep apnea. Not one person, not every other person, every single one. I think this is amazing when we look at prevalence and how widespread this problem is with your patients – every one of them has a story as well, your job is to uncover it. I got my first appliance from a close friend and mentor when I was still a teenager. My snoring had gotten so loud that it was causing problems with my college roommates. After college I went on to work with this dentist in what was a very new field of ‘sleep medicine’ at the time. 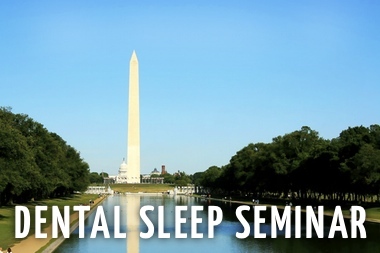 We traveled the country and did many small seminars educating like- minded dentists on how sleep health and airway are a major part of overall health and wellness. 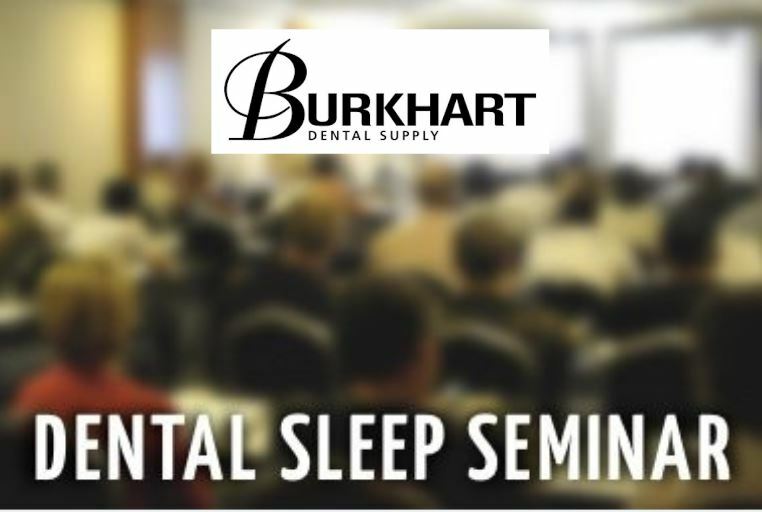 When I joined SGS in 2005 we focused on acquiring every piece of the dental sleep medicine puzzle to help dentists incorporate this valuable service in their practices. 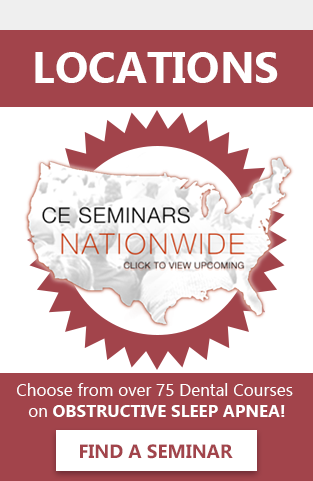 This year we have over 100 Dental CE programs and are working with thousands of practices nationwide. Despite all this growth we are still just scratching the surface of this problem. We need your help to uncover more of those sleep apnea stories. Recently I was teaching one of our CE courses and we had about 30 attendees in the room. We gave a home sleep test to 9 of them who volunteered and all 9 had a diagnosable amount of sleep apnea. This is no different than the scope of the problem with your patients. Screen your patients! 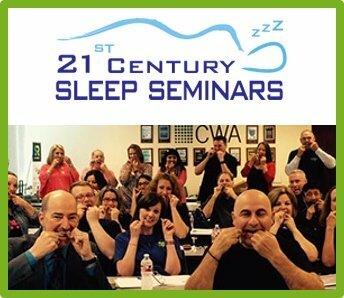 Let them tell you their sleep apnea story! Almost 97% of those suffering with Sleep Apnea are still in need of daily treatment, are you ready to help? This gets me to my next point: CHANGE YOUR BEHAVIOR. If you didn’t identify at least 4 or 5 of your patients so far TODAY as high risk for sleep apnea it’s because you were not looking closely or having the right conversations with them. The day you decide to go down this path and begin offering help to these people nothing new will happen unless you change your behavior. People are not going to walk in tomorrow and out-of-the-blue tell you about the sleep study they recently had or the CPAP they struggle to wear. Change how to look at them, how you interact with them, the questions you ask and the conversation that occurs. Get them to tell you their story! This starts with your front office team, then your assistants and hygienists and finally yourself, everyone needs to be on point and on message. I’ve been privileged over the years to have been in dental practices from coast to coast. From the most elaborate offices in New York or LA to the small town in-home dental offices in very rural areas. I laugh when people say “that won’t work in my town” or “not with our patients” or some other story about how special and/or difficult their patients are. What I can tell you all reading this unequivocally is that apnea does not discriminate and it is everywhere in every office, period. So how do you start talking to your patients? First set your goals, know what you want to happen as a result of a conversation. Keep your goals simple – your goal for a new patients who might snore or have hypertension is NOT to sell, or even discuss, oral appliances. Oral appliances are the therapy part, the end, the solution – first you need to identify the problem and get the patient to understand and be concerned about it. few. Patients understand the dire circumstances and all other concerns about cost, deductibles and convenience go out the window. They are scared because they are educated as to the scope of the problem. This is the real first step for your sleep apnea patients – not selling solutions but instead diagnosing a problem. 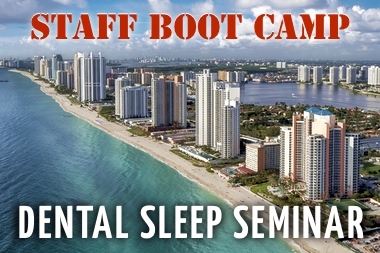 By far the biggest mistake I see new dental offices make when they are getting started with sleep medicine is that they focus too much on pushing a solution and not nearly enough on uncovering and diagnosing a problem. I encourage everyone reading this to try it. Ask ‘sleep health’ related questions but instead of immediately rushing to “sell” them on your beautiful shiny new custom oral appliance just let them tell you their story, empathize and express concern, and then offer the next step as a diagnostic sleep test. Let each step sell them on the need for the next, after the sleep study and physician diagnosis/therapy order you’ll have what you need to present the solution to the patient. This protocol and every conversation and tiny detail we have worked out is detailed as part of our dental sleep medicine education training program. 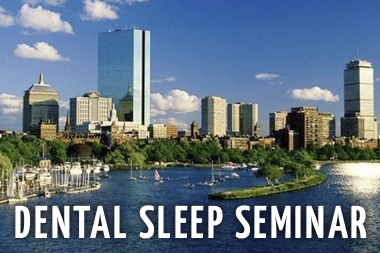 The next step for you would be to attend one of our 2-day seminars to learn more about this unique process and how you can help the hundreds of apnea sufferers in your practice have a happy ending to their story.